Vielen Dank für Dein tolles Lob zu meinem Truth Foto. Have a nice evening and fine weekend.. I have had a hard week, so yesterday evening I decided to stop by the perfume outlet for distracting my mind and why not, buying a gift for my collection. I entered the shop for getting a bottle of Police Dark, which does not suit these forthcoming hot seasons, though I wanted to have in my wardrobe. Once in there, I started smelling some bargain scents and came across the following two: Kenneth Cole Black and Cartier Vetiver Bleu. Well, the former is aromatic, green like cut grass, ozonic and reminded me a perfume I had already... not identical, however very similar to CK Truth and Jil Sander for Men. 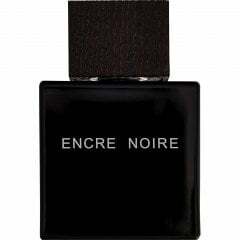 Instead, the latter is earthy, dark, elegant, and resemble Lalique Encre Noir, a modern vetiver with a licorice-like background. You know what, I opted for buying the three of them.